Enjoy the time of healing while feeling the "nostalgic" atmosphere of the room. Please enjoy the time filled with the good old peacefulness. Symbiosis of "old" and "new". Please enjoy the old and new things, the history born from there. Room on the top floor of the 8th floor where you can overlook the city from the room "Shofu Ro" is. 8 floor Shofu Ro is covered with charcoal under the floor one side, we have ingenuity so that you feel at home and relax by the customer by negative ions. 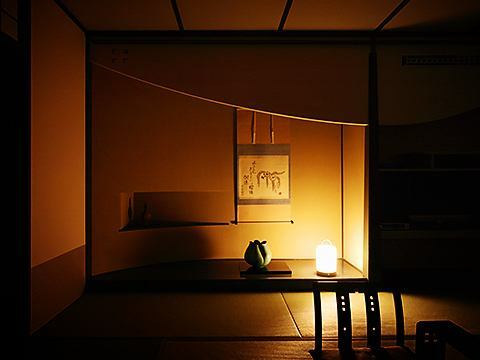 In the restful room you will feel the atmosphere of the Edo (time period) the rooms with sophisticated modernity, shoji and furnishings as well.